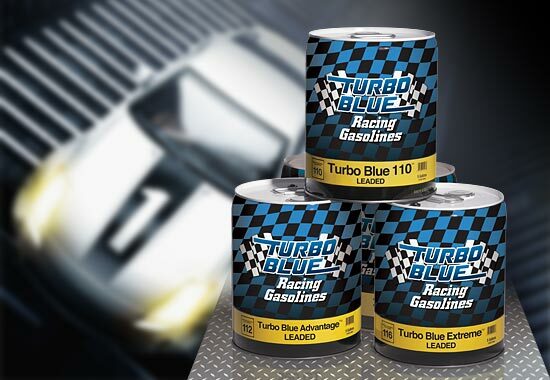 Turbo Blue Racing Gasoline has the high energy content, smooth distillation range and low vapor pressure necessary for carbureted, fuel-injected, super charged and turbo charged racing engines. Ideal for compression rations up to 14:1. Turbo Blue contains tetraethyl lead (TEL) and is for off-road use only. Leaded? Yes. For off-road and racing use only.